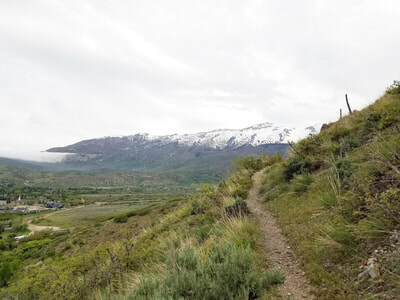 The Bonneville Shoreline Trail (BST) is a system of existing and proposed trails running from the Idaho border to Nephi. 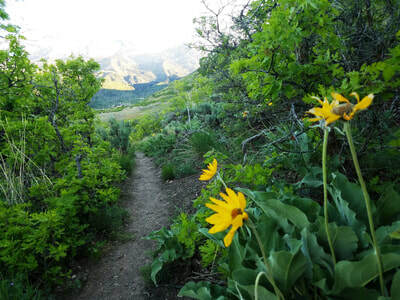 The trails lie on the western slopes of the Wasatch Range and the eastern slopes of the Oquirrh Range following the shoreline bench of ancient glacial Lake Bonneville. The BST skirts the border between urban developments and National Forest Wilderness. 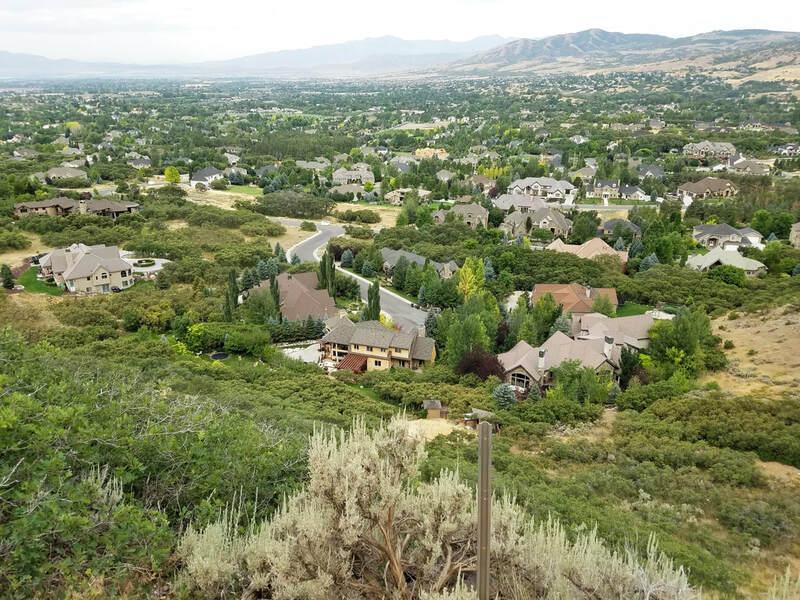 It is meant to link city sidewalks to wilderness mountaintops, with the main trail branching into a regional system of trails. ​​The greater part of the state of Utah was covered in water during the ice age, creating a giant lake that today is called Lake Bonneville. Bonneville Lake reached its highest level of about 5100 feet above sea level during the Pleistocene era. There have been four levels at which the lake level was constant enough to accumulate massive deposits of sand and gravel. The remains of these shorelines appear today as a benches or shelves protruding from the side of the mountains. About 14,500 years ago the lake level fell catastrophically as Lake Bonneville overflowed near Red Rock Pass in Idaho. The lake level dropped 344 feet to the next bench level. The lake continued to drop over the millennia, leaving only the Great Salt Lake, Utah Lake and Sevier lake as remnants of this once mighty lake. 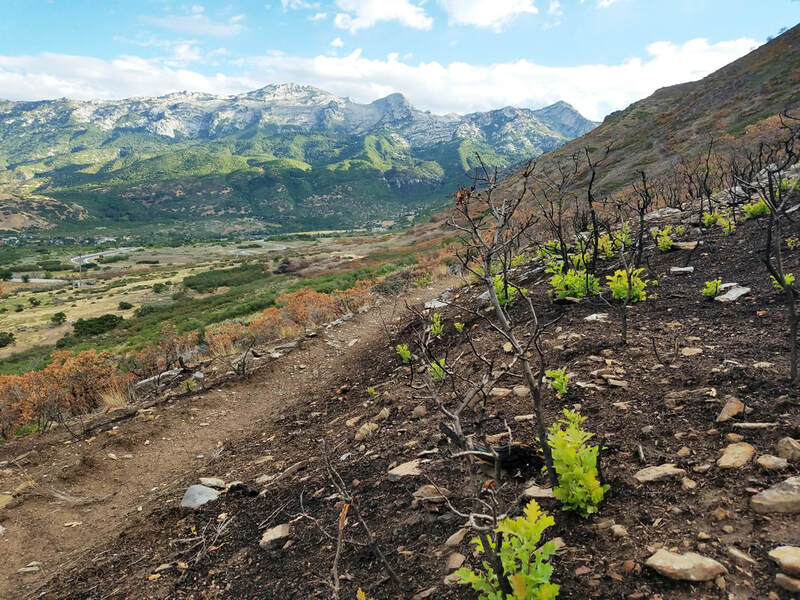 ​The Bonneville Shoreline Trail Committee is a citizen group that, with the support of Cache, Box Elder, Weber, David, Salt Lake and Utah Counties is slowly putting together pieces of the trail that would eventually run continuously for 280 miles. ​The proposed trail passing through Alpine is currently not well defined in the northern part of the city, but the existing National Forest Service trail east of Lambert Park is proposed to be a part of the BST. 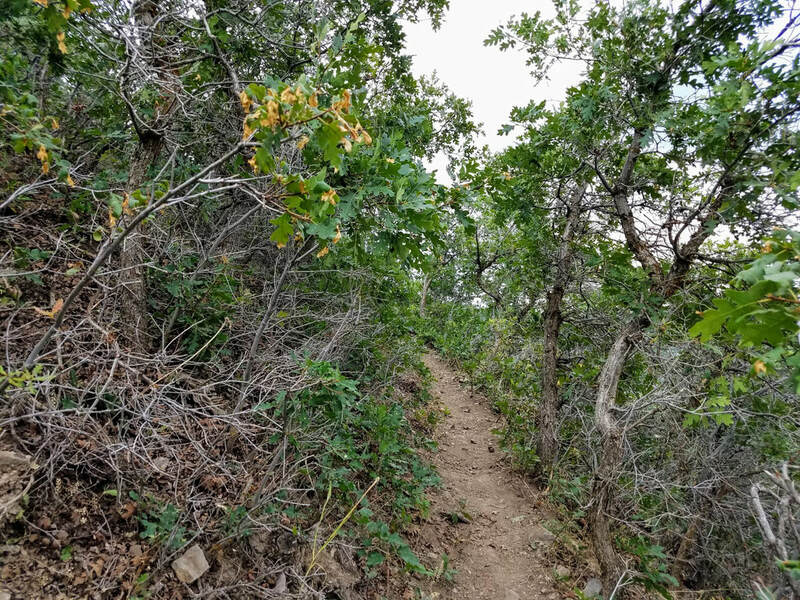 This trail starts just to the south of Lambert Estates and parallels Corkscrew trail in Lambert Park. 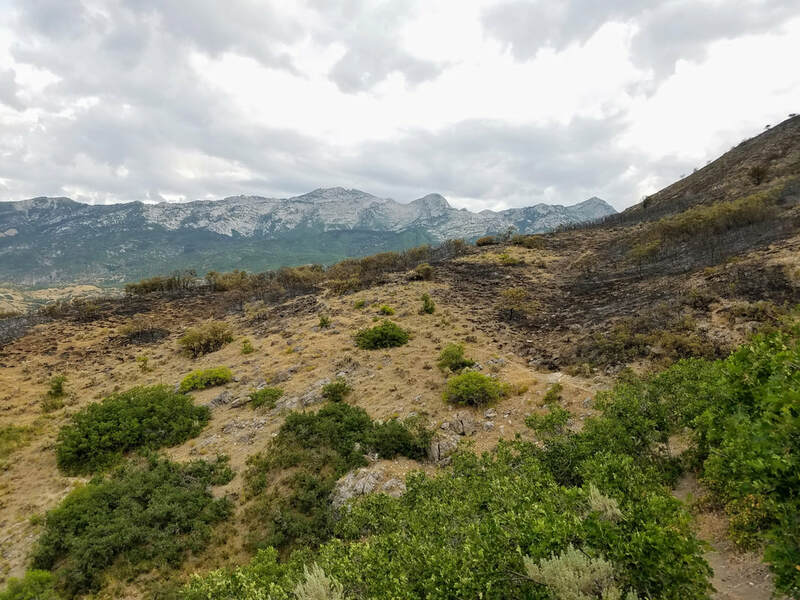 It continues hugging the base of the mountains passing through Highland, emptying out at Timpanogas Highway. 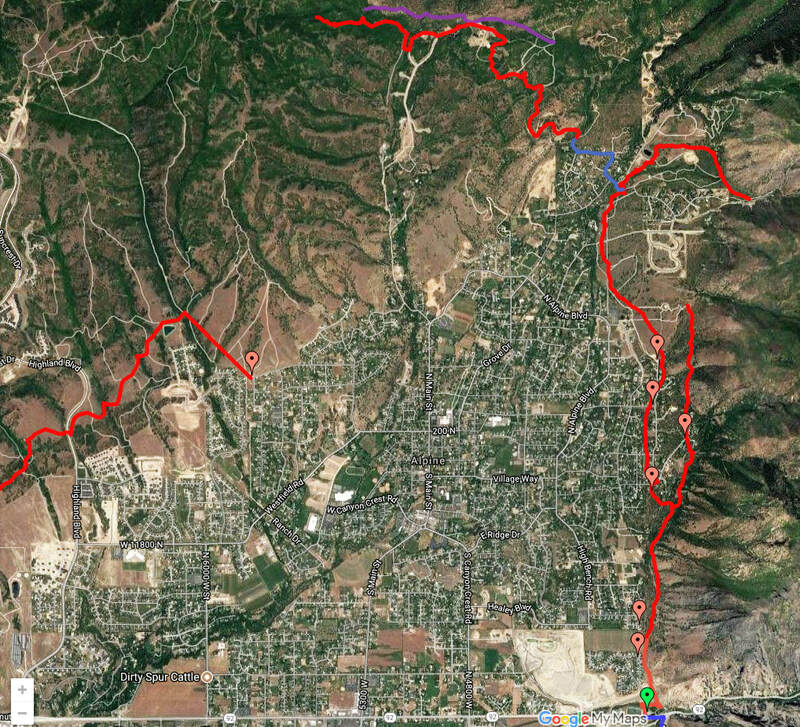 The red lines are proposed trails, the purple line at the top is future construction of the trail, and the blue line is a trail connector. 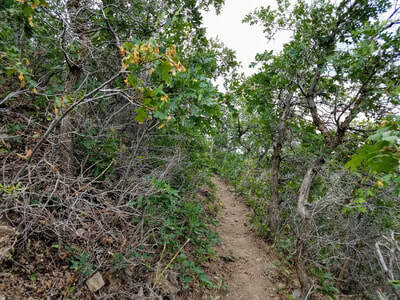 On our map of Lambert Park, we have labeled the eastern portion of the trail as Rocky Ridge. Hike it with your friends and tell others that you have hiked the Bonneville Shoreline Trail! 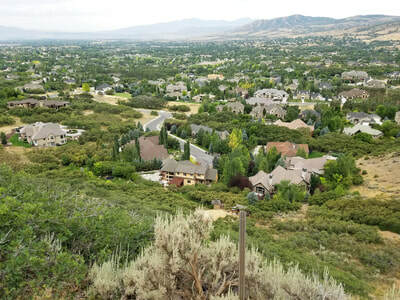 To read more about the history and progress of the Bonneville Shoreline trail, visit www.bonnevilleshorelinetrail.org.